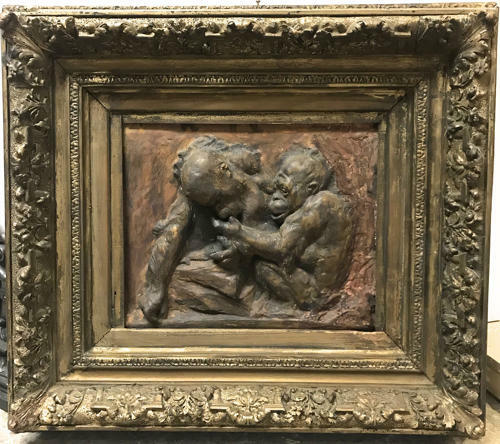 A beautifiul and rare plaster 3D plaque of baby Orangutans playing. Signed and dated 1910. This is probably the first casting from a bronze mould as a test by a bronze Sculptor. I can't work out the Sculptors signature. Needs further research. Mounted in its original frame. It has had some restoration in places, A beautiful and rare piece.